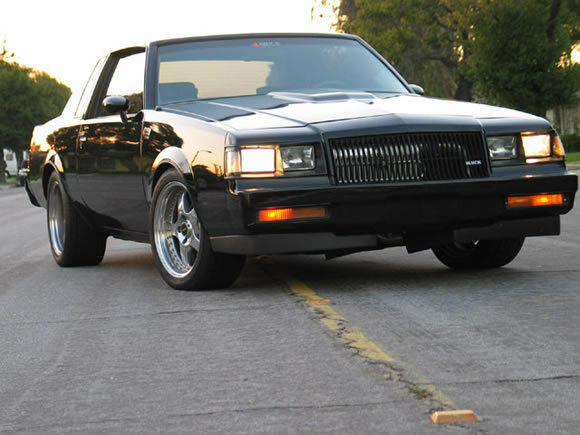 The Buick Grand National is one of my favourite cars. I remember following this build in Turbo Magazine. Yes like you I have piles of car magazines. Even had to sell some of them. Turbo Magazine did some nice work on this GN. It looks great in black with the 5 spokes and cool stance. Grand Nationals aren't the most beautiful of cars but the looks were more than made up for when Buick put the 3.8 litre V6 turbo under the bonnet. They upped the horsepower every year of this generation and although there weren't as many made they were all black and went like stink.